Ian Giovinco was born and raised in Tampa, FL. He graduated from Jesuit High School in 1984 and Florida State University in 1989 where he attained a double major in Political Science and Economics. Following Graduation from Law School in Mississippi, Ian returned to Florida where he has been a member of the Florida Bar Association and licensed to practice law in Florida since 1993. Mr. Giovinco practices in the areas of Estate Planning, Asset Protection and Business Continuation Planning. The majority of his practice involves drafting Trusts, Wills, Health Care Documents and performing Asset Protection Audits for his clients. 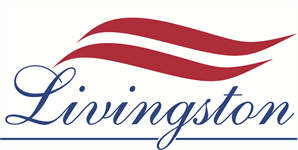 LPL or Livingston Financial Group are not affiliated with Ian Giovinco or Anton Castro Law. FEDS provides professional liability insurance (PLI) to the entire federal employee community. Public scrutiny, political demands, new workplace rules and increased workloads have increased the exposures of federal employees to allegations, investigations, disciplinary actions, and personal capacity lawsuits for work related acts, errors & omissions. FEDS is the #1 recommended provider by the leading federal employee and manager associations. FEDS liability protection is available for $290 per year with the option of payroll deduction. And if you are a manager, supervisor, or law enforcement officer, your agency will reimburse you up to ½ of the premium for a net cost of only $140. For protection today, enroll on-line at www.fedsprotection.com or call 866.955.FEDS (3337). LPL or Livingston Financial Group are not affiliated with FEDS.